Now that's a whole lot of kitchen pretty. Let's dissect, shall we? What must a Windsor Smith kitchen include? 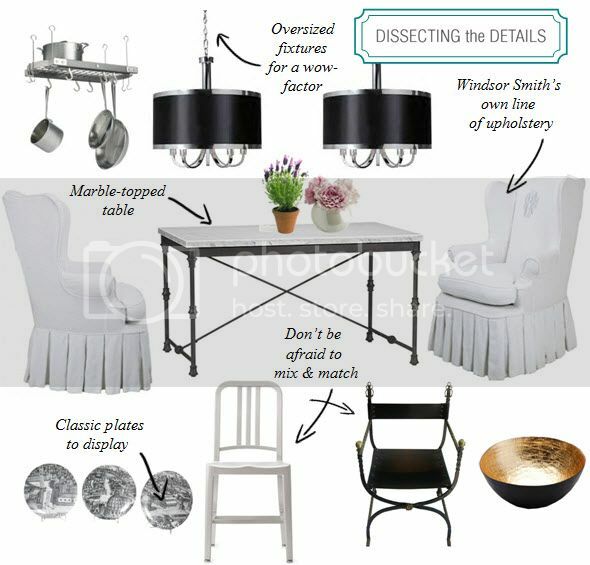 Gobs of marble is a good start, including large marble-top french table, a mix of seating styles that could include this navy brushed side chair, this antique leather chair, and Windsor Smith's own slipcovered wingback chair, a ceiling pot rack for added charm, and of course two oversized black drum-shade light fixtures for that WS wow factor! I love the way Windsor is able to make a plate display look clean & modern, and these Fornasetti plates would fit perfectly. 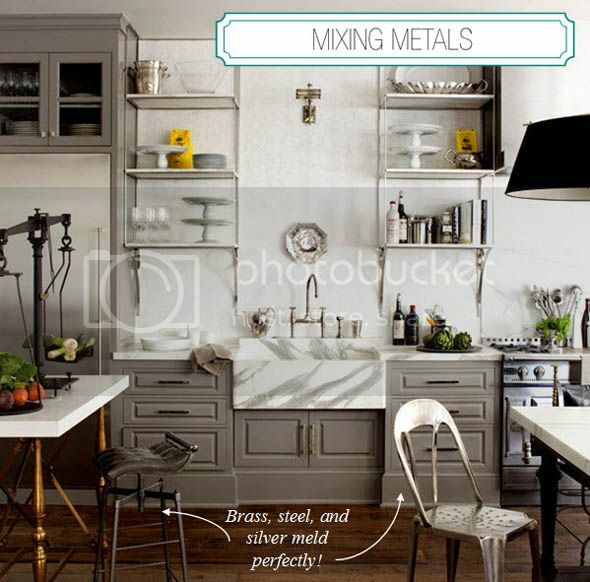 Mixing metals is another important element, and can be done simply by adding accessories such as this brass bowl. 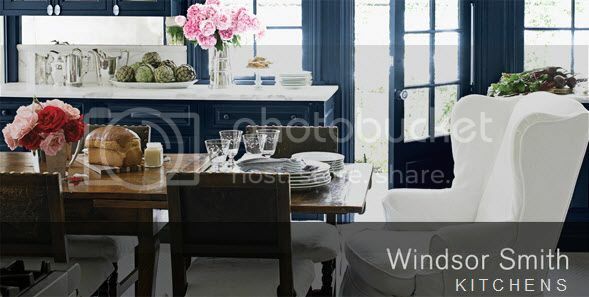 I don't know about you but I'm personally going to take quite a few notes from Windsor's classic & chic kitchen designs! love it all nancy - great post!! I have used these kitchens as inspiration for my own kitchen. 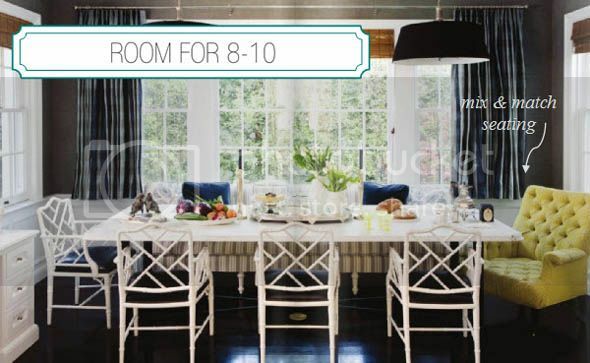 I absolutely adore that marble top table and the rustic, charming, eclectic kitchens on today's post! Hello, dream kitchen! I love this post. 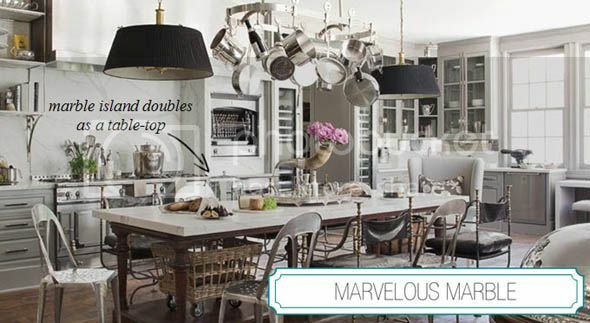 That marble top table has been my fave for a long time. What a beauty! 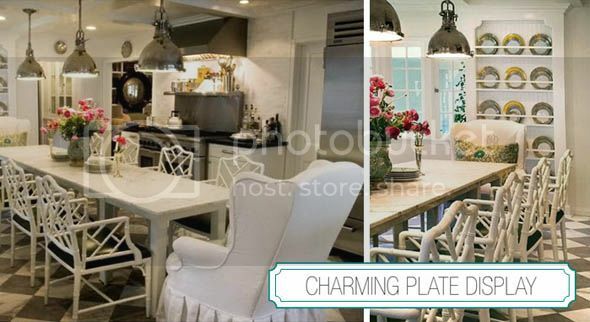 And love that her kitchen is somewhat unfitted,it has the appearance of age and coming together over the years,rather then just buying it off a shelf and putting it together. A feat that only a professional could accomplish. Great post Paloma! Awesome suggestions! I saved a lot of them to remember for when it is time to design my own kitchen! 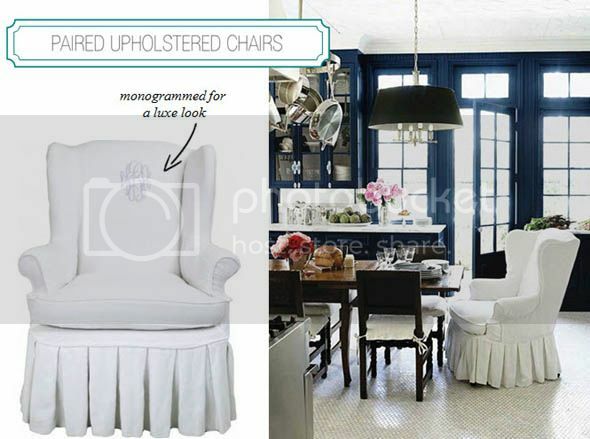 I absolutely love everything, especially the upholstered end chairs. Great color palettes too. Thanks for sharing! Oh kitchens are always fun to clean. 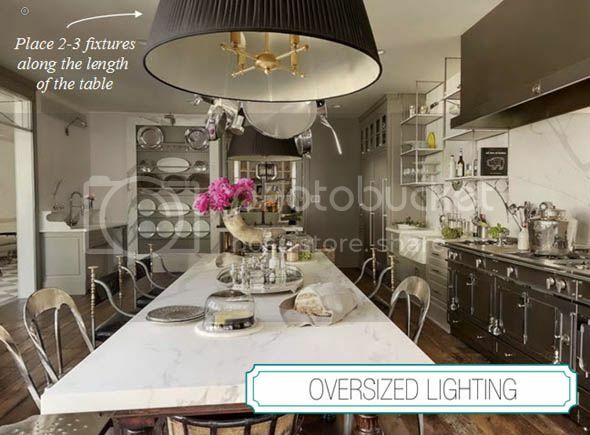 gah, that "oversized lighting" photo is perfection in my eyes! Love, love this post! Windsor Smith has the best style and her kitchen is amazing. My favorite thing to do with rooms I admire is focus on each detail. Thanks Nancy!